Note 9/3/11: This offer has expired. You can still purchase the Grades 1-4 Bundle without the mini-units. 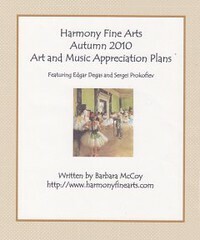 It has been a summer of researching and writing but the revised Harmony Fine Arts Grades 1-4 Bundle is now available. All four grades are updated and now available as either ebooks or in print. What could be better than having all four levels at your fingertips as you need them? I know that many of my readers are Charlotte Mason homeschoolers and wish to regularly offer art and music appreciation in your homeschooling week. 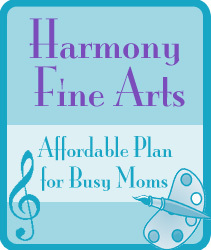 Using the Harmony Fine Arts plans will make your planning so much easier. 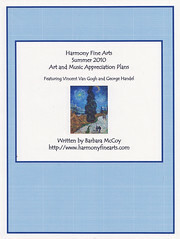 Harmony Fine Arts Grades 1-4 Artists and Composers Chart – Free Download! Harmony Fine Arts Grades 1-4 Bundle. Order my Harmony Fine Arts Grades 1-4 Bundle at the already discounted price using the button here in this entry and you will receive all of my Harmony Fine Arts Mini-Units for FREE! This is a $11.85 value. Plus I will give you the option to purchase the bundle in either print or ebook versions….your choice! 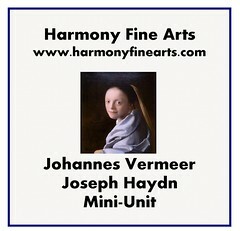 For more information about the Harmony Fine Arts Mini-Units, you can read this BLOG ENTRY or click over to my Squidoo Lens.